Vacuum sealed freshly ground Decaffeinated Kimbo Gold Medal blend coffee is shipped directly to you from Naples Italy. 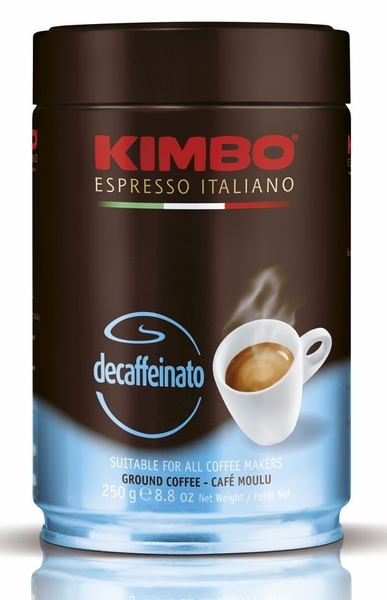 This Kimbo blend is noted for as the ultimate decaffeinated cafe` that preserves the rich aroma and distinct full-bodied taste of classic espresso. Perfect for both espresso and cappuccino. Twelve 8.5 oz (250 gr) cans per case.